Established and renowned skincare brand Palmer’s have been hydrating and soothing skin everywhere for over 40 years, earning themselves a loyal cult following. Utilising the nurturing properties of cocoa butter, Palmer’s boast an extensive range of hair and skin products that all feature this hydrating and celebrated ingredient. Cocoa butter typically works in synergy with the skin to aid in the healing process, as well as helping to retain moisture when your skin needs it most. But the skin-loving range doesn’t stop there: Palmer’s also specialise in other formulas that employ the benefits of coconut oil, shea butter and olive oil for an eclectic selection of products. 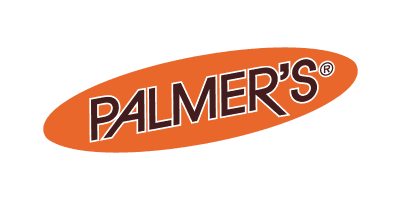 Palmer’s have become key players in the skincare, pregnancy and hair industry, prizing them with global recognition and success across 80 countries. Combining their rich history, experience and knowledge with the highest quality ingredients, Palmer’s have been able to capture the hearts and trust of consumers all over the world with their results-driven products.